Tropical Paradise? Sign me up! 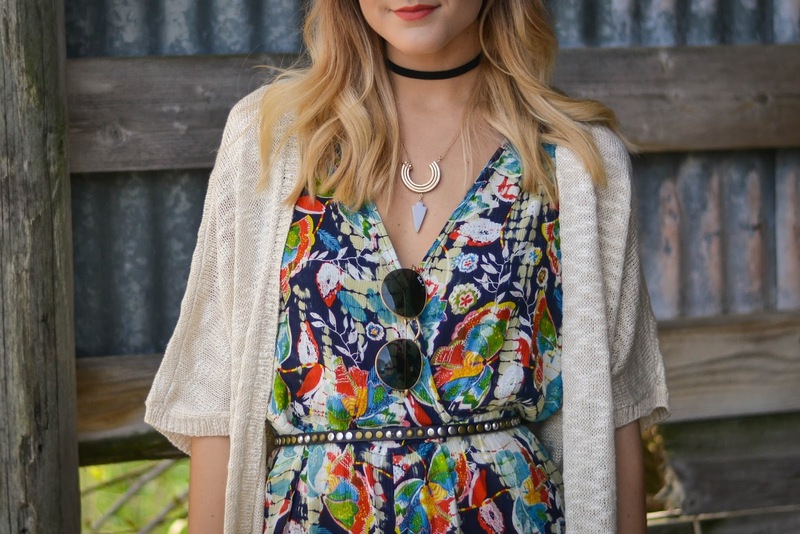 Loving this floral romper from RAGA. I paired with with a crochet kimono, tall boots, and layered accessories. 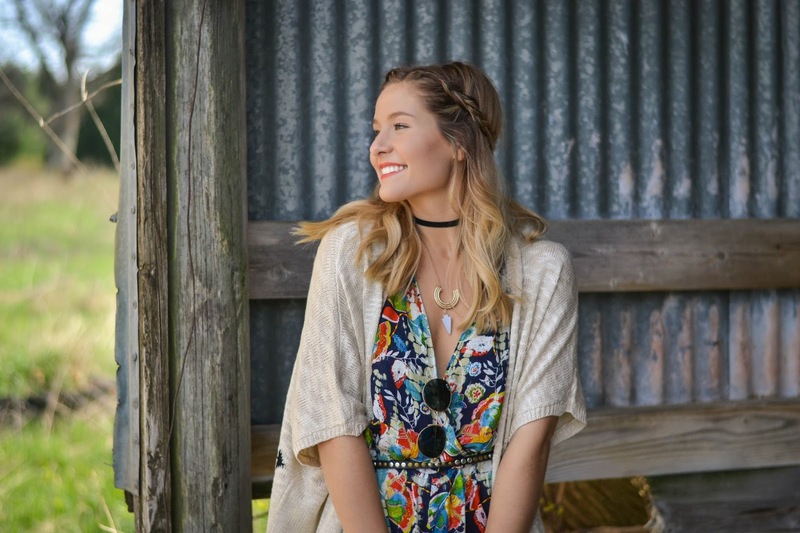 A perfect daytime boho look! Cardigan || Garage (same) *on sale!